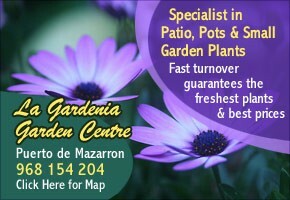 Quality, experience and a huge range of building and home improvement services based in Hacienda del Álamo The team at Home Space Home andGarden have been supplying a wide range of services in and around the prestigious golf resort of Hacienda del Álamo since 2012, and can bring all their experience and expertise to bear on all of your home improvement projects, both large and small. Boasting.. 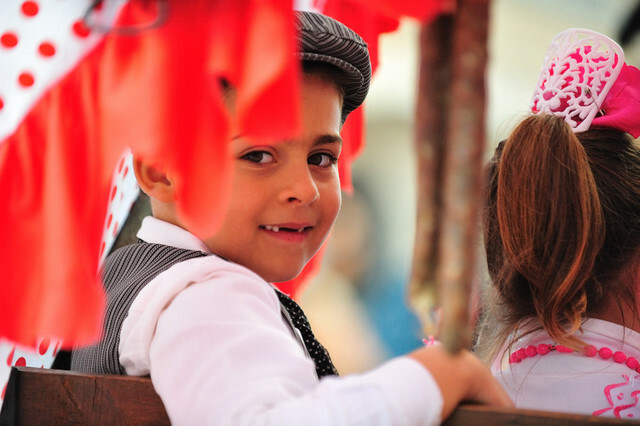 This is an outlying district of the Alhama de Murcia municipality The pedania of La Molata (Cañadas de Alhama) holds its annual fiestas patronales in honour of the Virgen de la Cabeza, these local fiestas including family games, competitions and the all important open-air dances with live music at the social centre. 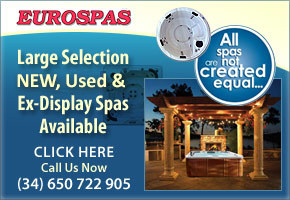 All events are free of charge unless stated. 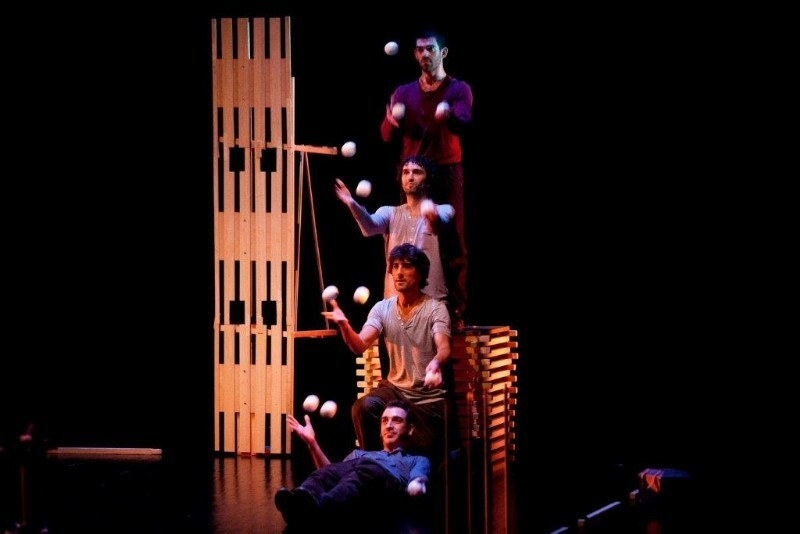 Click for more information..
An open-air performance suitable for a family audience 21:00 Free Circus Street Theatre. 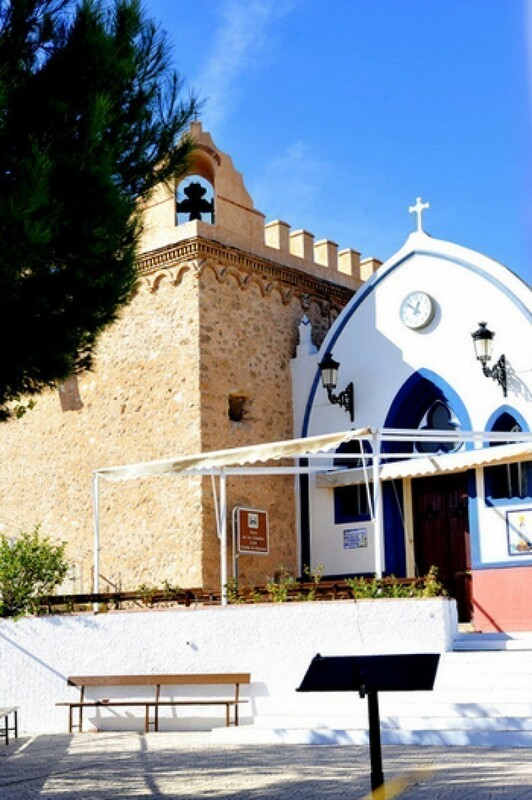 A spectacular featuring contemporary circus acts including jugglers, dance and something described only as "verticals" is offered in the atrium of the Church of San Lázaro Click for map: Iglesia de San Lázaro in Alhama de Murcia Click here for all What's on in the Alhama de Murcia.. 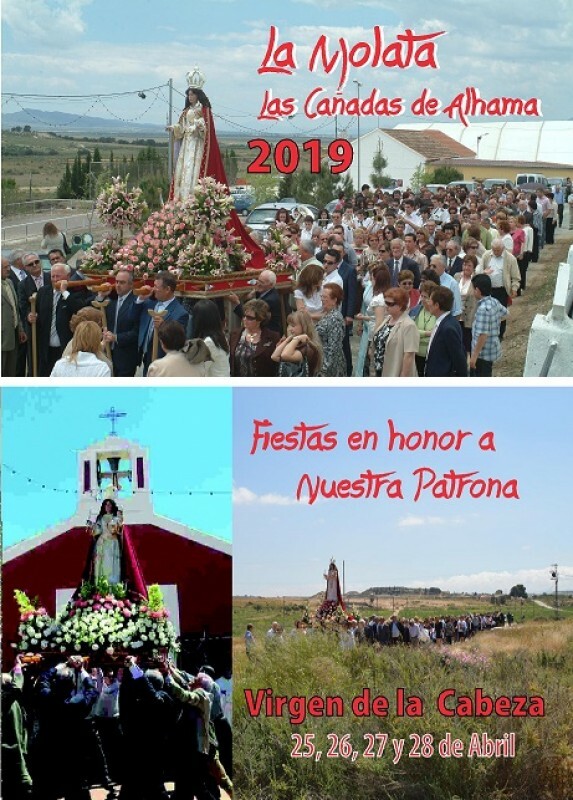 Plenty of free folk is on offer during this important festive weekend XIX Alhama en Concierto Folk- Fiestas de Los Mayos 2019 As part of the Los Mayos celebrations in the municipality of Alhama de Murcia, a series of free folk music events is on offer over the weekend of 3rd to 5th May 2019. 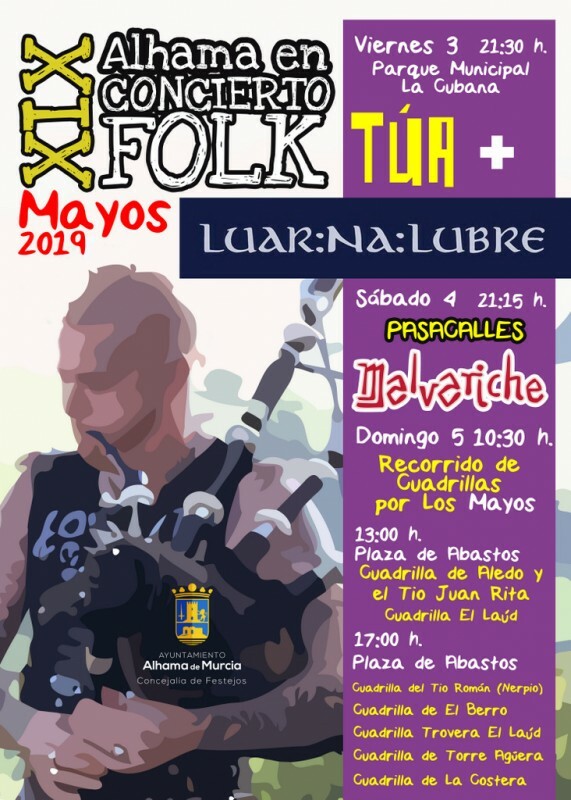 Friday 3rd May 21:30 Free entry concert by folk groups TÚA and Luar Na Lubre. Taking.. 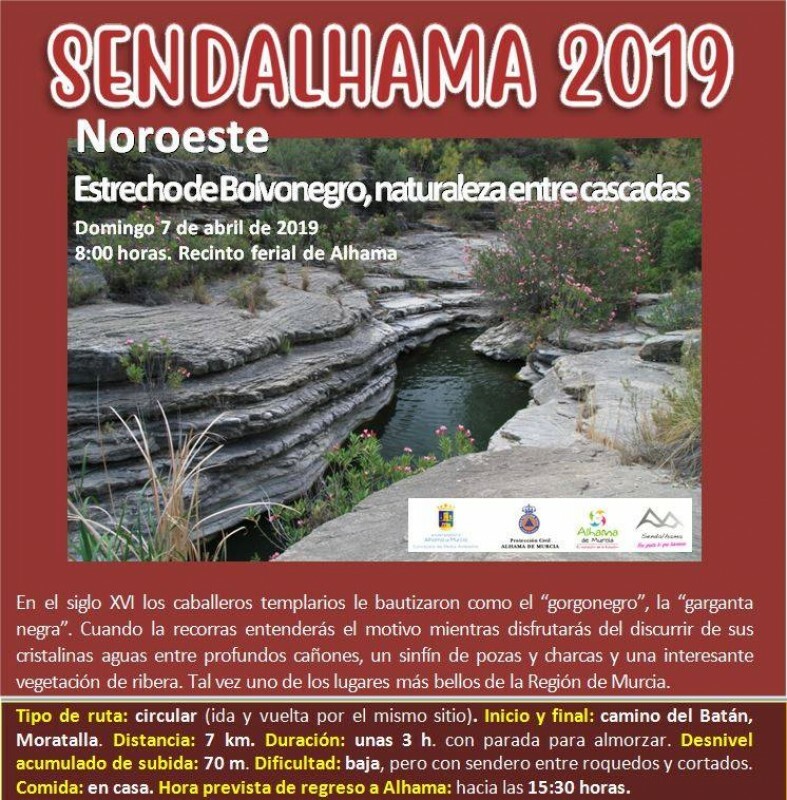 Registration opens on the 26th March for this walk which is part of the annual Sendalhama series of guided walks and early booking is essential due to the popularity of the walks. 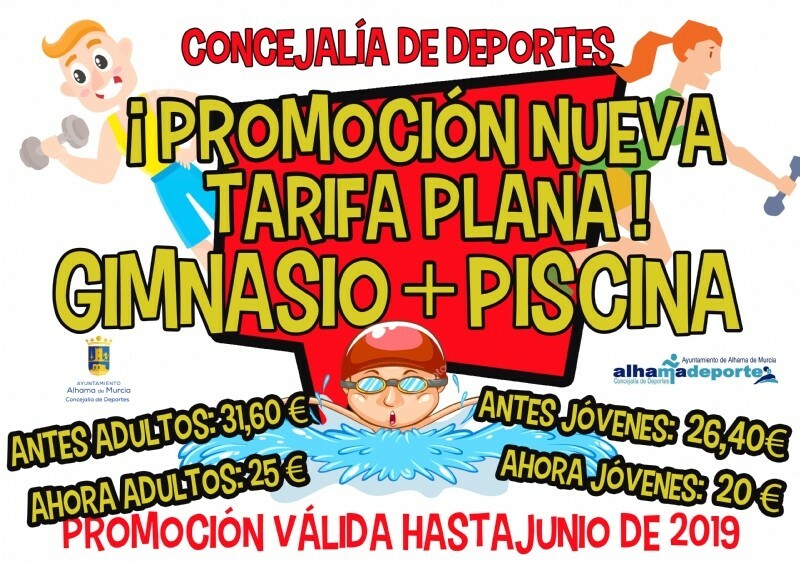 These walks are run by the council of Alhama de Murcia and depart from Alhama de Murcia. 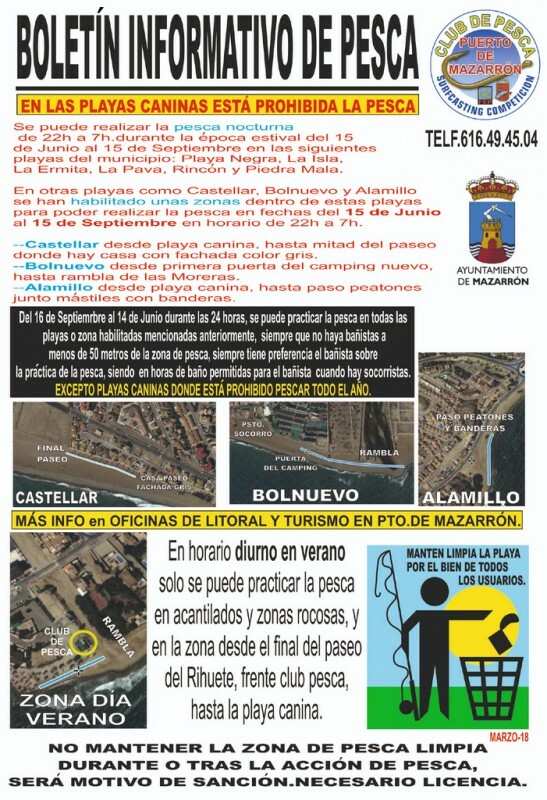 Route 4 on Sunday 12th May ( Nb Poster shows incorrect date): El Estrecho de Bolvonegro. 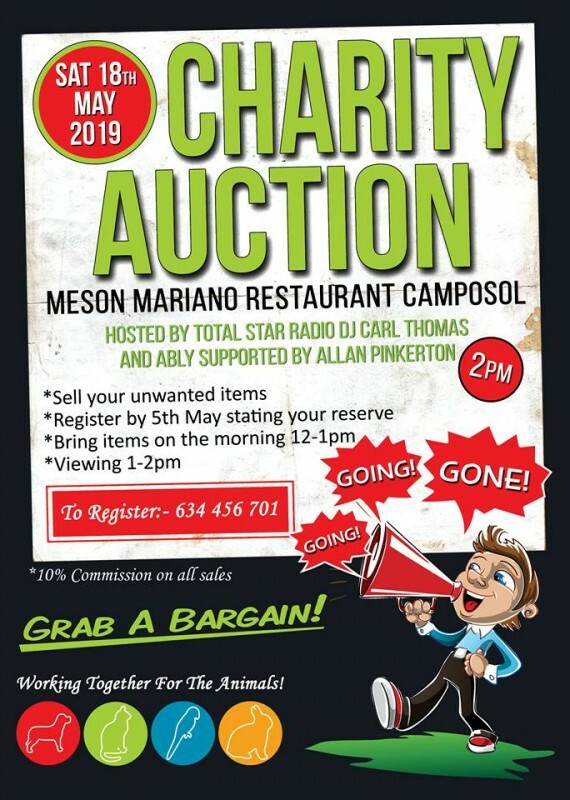 This route visits the north-westerly..
Raising funds for local animal rescue and re-homing in the Mazarrón area Helping Hands are holding a charity auction at Meson Marianos Restaurant on the A Sector of the Camposol Urbanisation on Saturday 18th May, with the 10% commission raised on the sale of the goods donated to help this local charity. 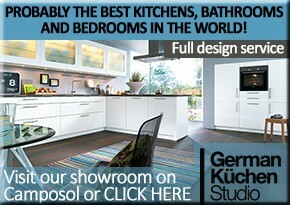 To register goods for sale call 634 456 701 by 5th May. 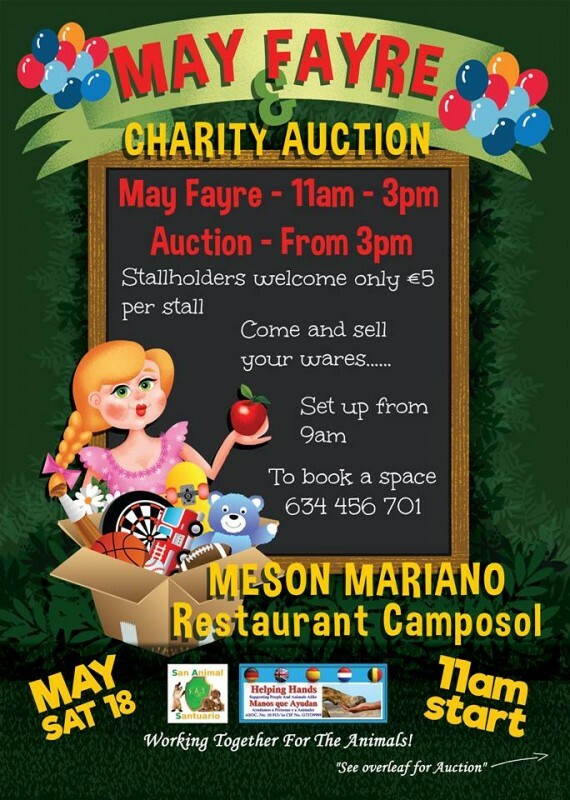 Bring in goods for sale between..
Raising funds for local animal rescue and re-homing in the Mazarrón area Helping Hands are holding a charity auction and May Fayre at Meson Marianos Restaurant on the A Sector of the Camposol Urbanisation on Saturday 18th May, with the 10% commission raised on the sale of the goods from the auction donated to help this local charity. 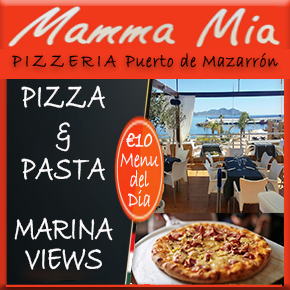 To register goods for sale or to book a stall at the..
Watersports in the Puerto de Mazarrón, El Alamillo beach Costa Cálida Nora Nautic are based on the El Alamillo beach in the Puerto de Mazarrón for the summer months and hire out motorised boats, flyboards and jet skis on a short-term basis. 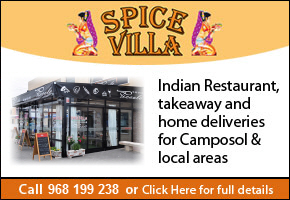 All equipment is supervised by qualified staff and can be hired for just a few minutes to a full day according to requirement. 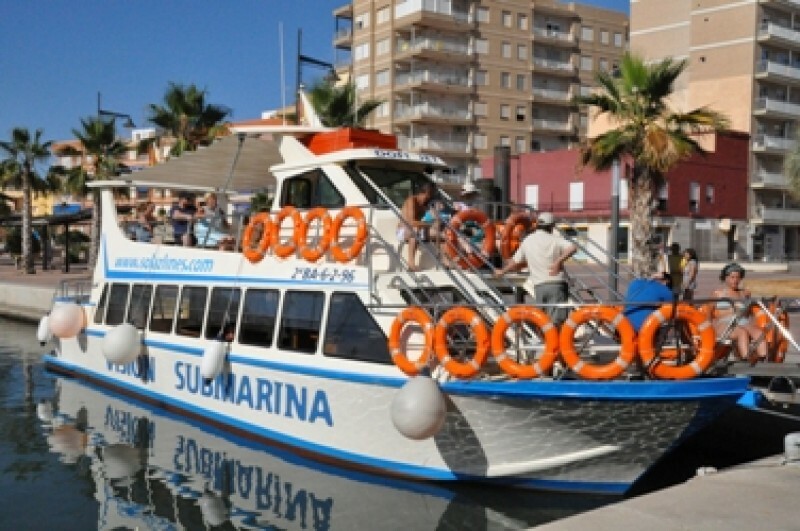 Mazarrón, The glass bottomed boat runs good value trips along the coast. 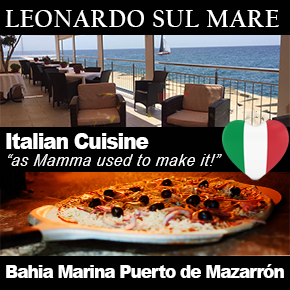 Click here to see summer schedule 2018 with times: Solaz Lines Mazarrón Solaz Lines have been in operation since 1988, and operate 2 boats, running inexpensive trips in La Manga and from Mazarrón. 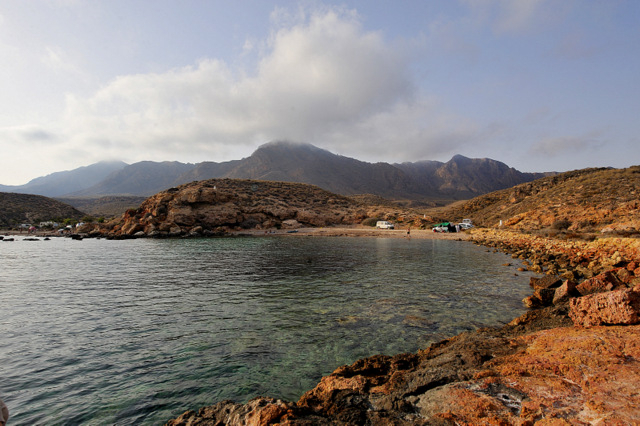 During the summer months they operate boat trips on a regular schedule, and are available for private hire the rest..
Urban beaches, nudist beaches, dog friendly beaches and lots of wild coves in the municipality of Mazarrón Mazarrón is blessed with an extraordinarily rich selection of beaches, with 33 spread along 35 kilometres of coastline, ensuring that all tastes can easily be accommodated. 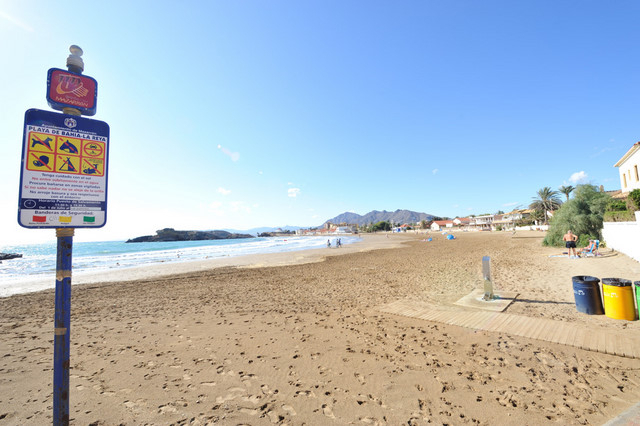 Most of the municipality has a low development density, so even when the beaches are busy in the summer, there..
A shingle and sand beach on the Mazarrón-Cartagena border which is also popular with surfers A 450-metre-long Blue Flag beach The Playa del Mojón is easternmost beach in the municipality of Mazarrón municipality and is on the edge of Isla Plana (Cartagena), close to Puerto de Mazarrón. 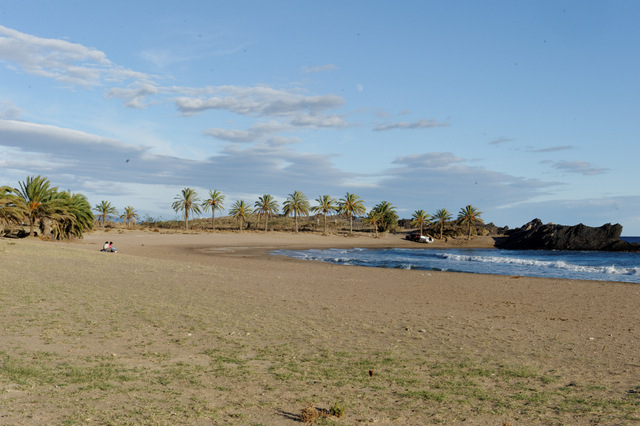 It’s often listed as one of the Isla Plana beaches and some guides show it as being within Cartagena..
A low density semi-urban beach with sand and shingle shoreline A 350 metre long beach The Playa de la Raja is the second beach encountered when entering the municipality of Mazarrón municipality from its neighbour Cartagena, and is just a few metres further along the coastline from Playa del Mojón. 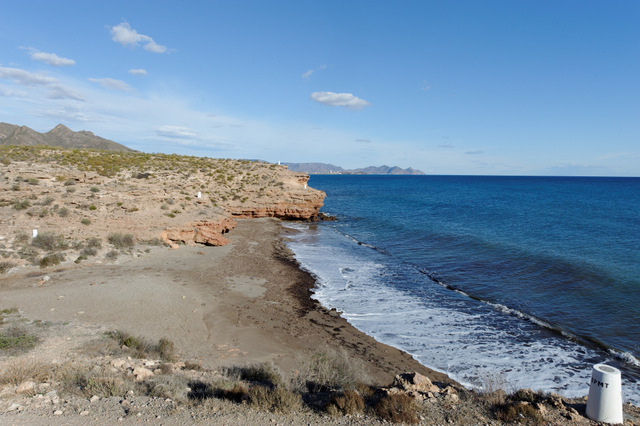 Like Playa del Mojón, it is close to the main E-22 road which runs between Isla Plana and..
A semi-urban beach close to the Puerto de Mazarrón A hidden 160 metre long cove close to the Puerto de Mazarrón Playa Negra is the third beach encountered when entering the Mazarrón municipality from its neighbour Cartagena , is closer to Puerto de Mazarrón than Isla Plana and is considered to be the first of the semi-urban beaches running into the port of Mazarrón. 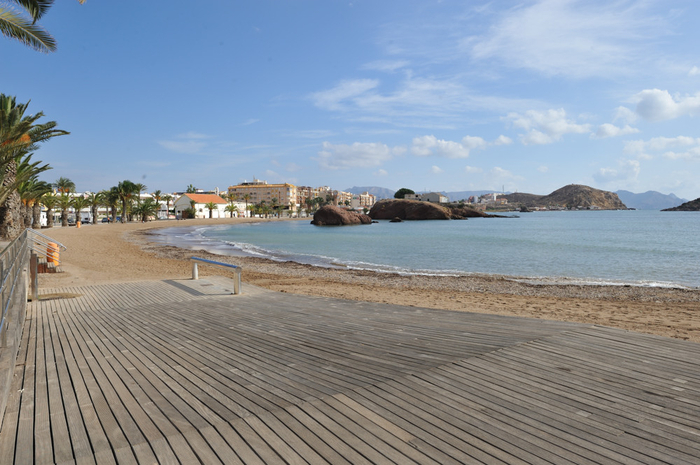 It’s very much..
A Blue Flag semi-urban beach, popular with windsurfers and anglers 600 metres long with sand and shingle This is a semi-urban Mediterranean beach, and is the fourth beach in a line of 33 Mediterranean beaches which stretch along the Mazarrón coastline between the boundaries with Cartagena and Lorca. 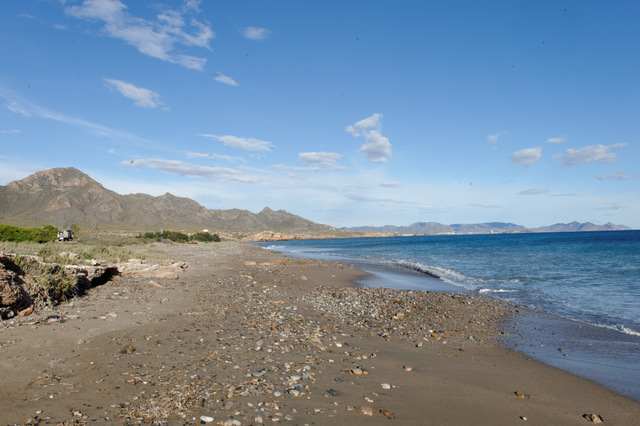 This beach is 600 metres long, with an average width of 14 metres, narrower and stonier at..
One of three dog friendly beaches in the Mazarrón municipality Playa Gachero is a semi-urban Mediterranean beach at the eastern end of the 35-kilometre Mazarrón coastline, close to the boundary with Cartagena. 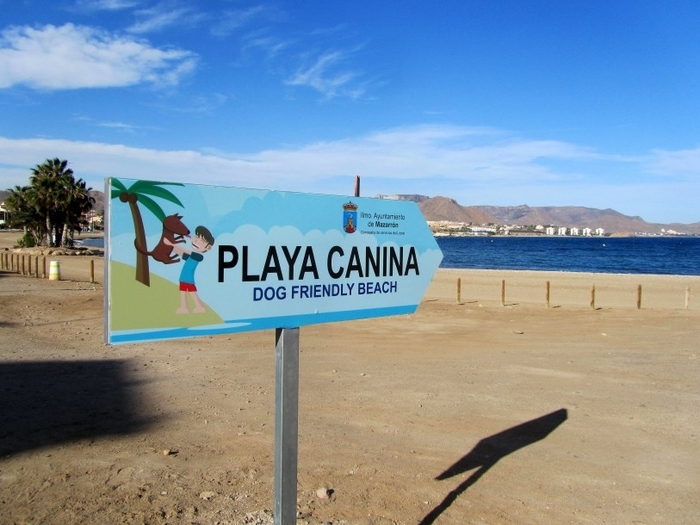 This is one of three beaches within the Mazarrón municipality which have been designated as dog friendly, and is the closest to the urban centre of the municipality. 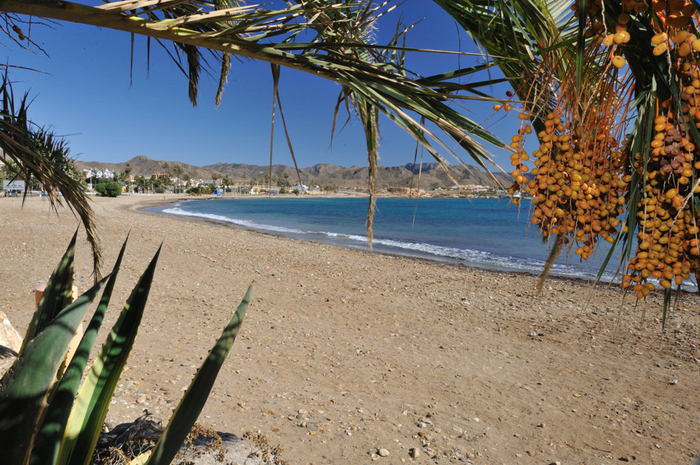 It is the smallest..
A large, sandy, fully serviced "no smoking" beach in the town of Puerto de Mazarrón Blue Flag and Q for Quality at this 600-metre-long sandy beach Playa Rihuete is an urban Mediterranean beach in the eastern part of Puerto de Mazarrón, on the way out of the town towards Cartagena and on the seafront facing across the bay to La Azohía and Cabo Tiñoso. 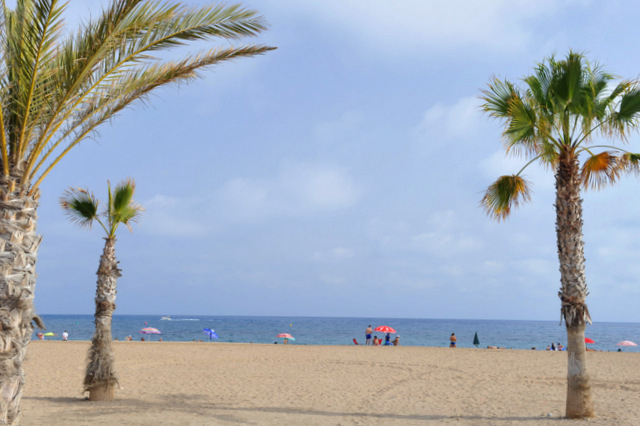 It is a vast urban beach..
A very popular 500-metre-long urban beach with fine sand and full facilities Playa del Puerto is an urban Mediterranean beach, in the centre of Puerto de Mazarrón and is among the most popular of the 33 Mediterranean beaches which stretch for 35 kilometres along the Mazarrón coastline between the boundaries with Cartagena to the east and Lorca to the west. 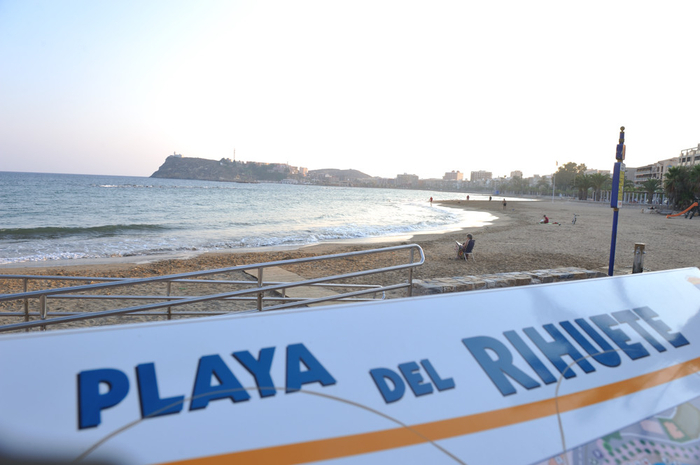 It is a 500-metre-long sandy beach..
A curving bay with deep sand fringe and an interesting history The Playa de la Isla (“island beach” for obvious reasons) is a curving bay, in an urban area, with a long and interesting history lying beneath the normally tranquil surface of the Mediterranean. 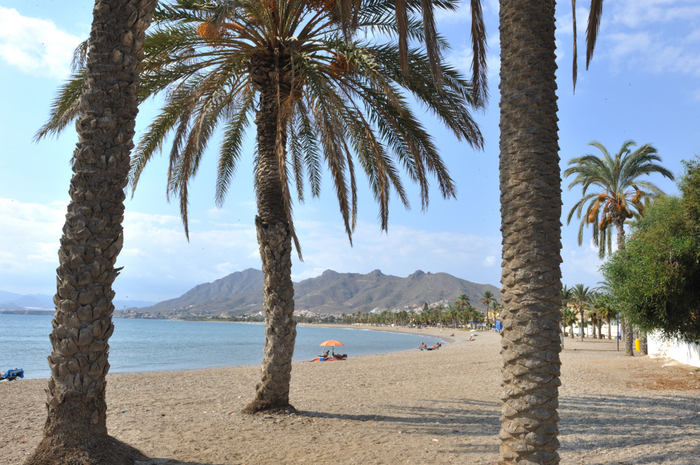 For visitors today, it’s a beach with a 600 metre frontage and an average width of 52 metres, fine, soft sand, and a tranquil traditionally..
A low density sandy beach close to the private sporting port Playa de la Ermita is a small urban sandy Mediterranean beach close to the centre of Puerto de Mazarrón, one of a line of 33 along the 35-kilometre coastline of Mazarrón between the municipalities of Cartagena and Lorca. 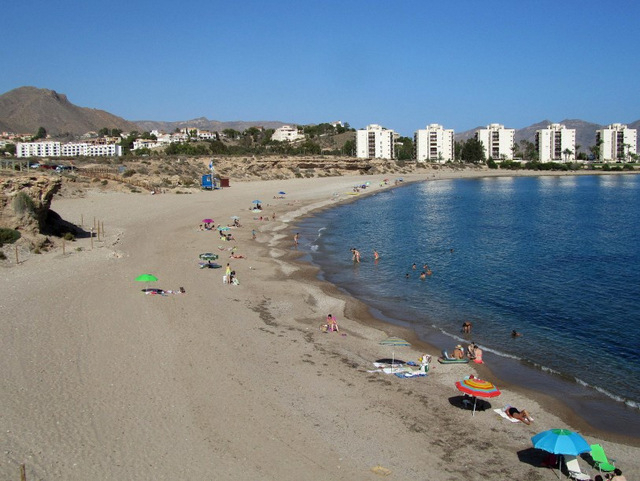 This may only be a small beach when compared to its grander neighbours, but has real charm, the combination..
Q for Quality and Blue Flag at this popular sandy beach in Puerto de Mazarrón Playa de Bahía is a semi-urban beach adjoining Playa de la Reya and is the first in an unbroken stretch of sand running from Puerto de Mazarrón towards Bolnuevo for several kilometres. 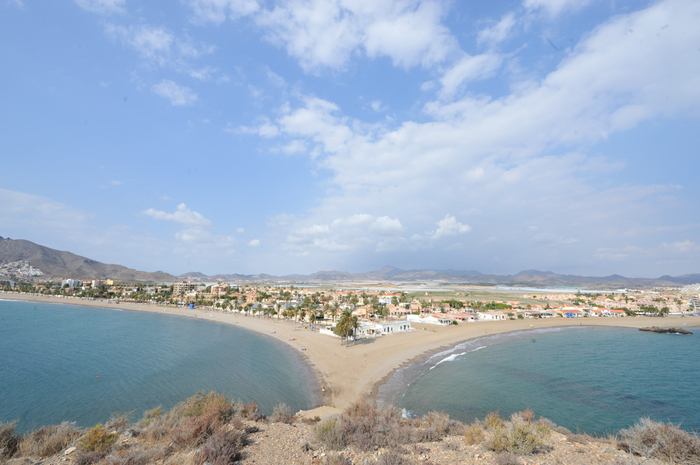 The Playa de Bahía is an urban Mediterranean beach, one of a line of 33 along the 35-kilometre coastline of Mazarrón between..
Also known as Playa de la Rella and Playa de Junta de dos Mares The Playa de la Reya is an urban Mediterranean beach, one of a line of 33 along the 35-kilometre coastline of Mazarrón between the municipalities of Cartagena and Lorca. 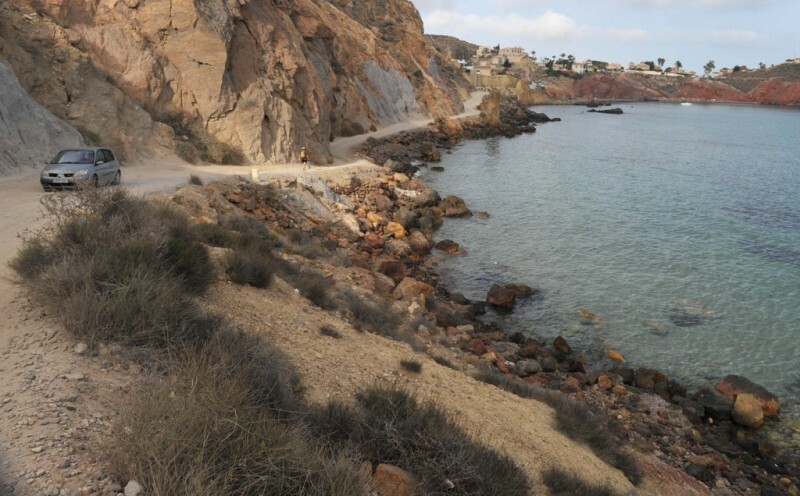 It is a long, curving semi-urban stretch of sand which adjoins Playa Bahía, Playa de la Pava and the Cabezo de Gavilanes viewing point, located 1.9 kilometres.. 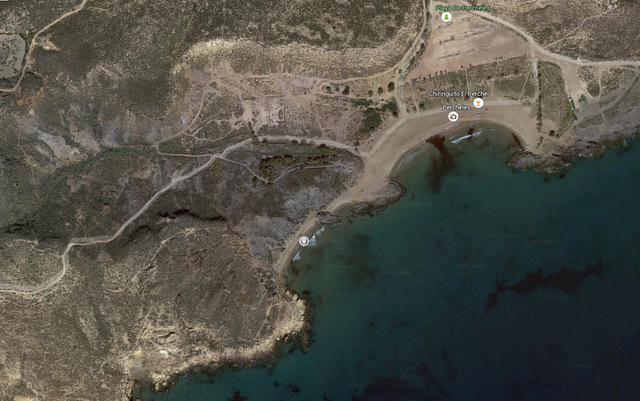 The Playa de la Pava is a small, curving beach located in a semi-urban environment. 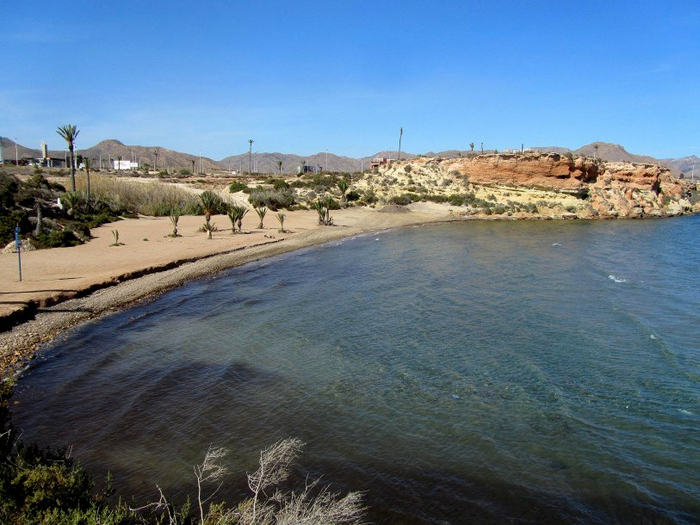 The Playa de la Pava is an urban Mediterranean beach, one of a line of 33 along the 35-kilometre coastline of Mazarrón between the municipalities of Cartagena and Lorca. 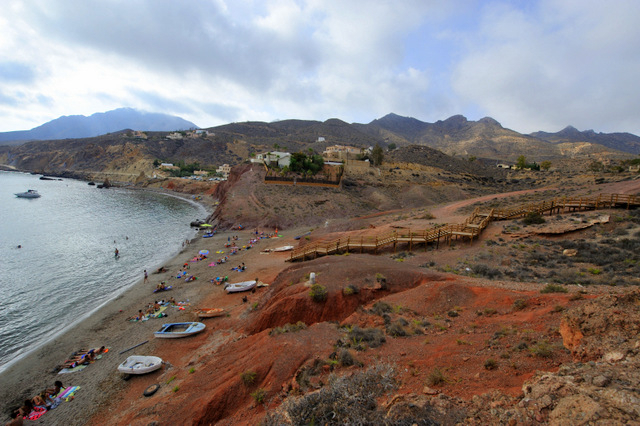 It is 2.2 kilometres from the centre of Puerto de Mazarrón and is easily accessed from Avenida D.José Alarcón Palacios, which..
A Blue Flag beach in the western outskirts of Puerto de Mazarrón The Playa de Nares is an urban Mediterranean beach, one of the 33 which are to be found along the 35-kilometre coastline of Mazarrón between the municipalities of Cartagena and Lorca. 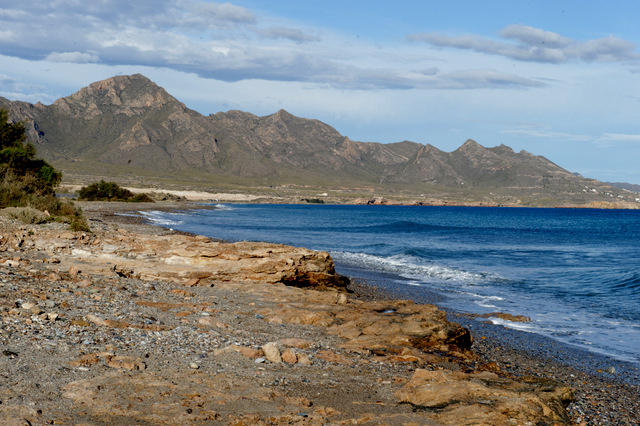 It is a long, curving, semi-urban beach which adjoins the Playa de la Pava and at the eastern end is the headland of Punta de Nares..
Playa Grande-Castellar, a kilometre of sandy beach between Puerto de Mazarrón and Bolnuevo The Playa del Castellar is a vast semi-urban Mediterranean beach, one of the 33 which are to be found along the 35-kilometre coastline of Mazarrón between the municipalities of Cartagena and Lorca. 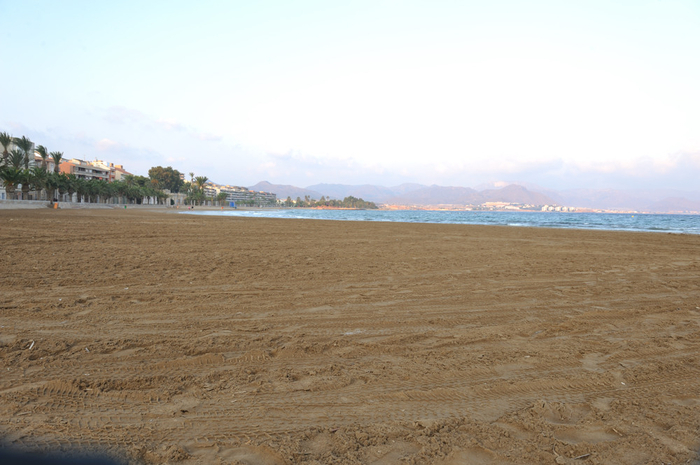 This is a huge stretch of open sand beach which adjoins the Cabezo de Castellar and the neighbouring..
One of three dog friendly beaches in the municipality of Mazarrón Playa de las Moreras is a semi-urban Mediterranean beach, one of the 33 which are to be found along the 35-kilometre coastline of Mazarrón between the municipalities of Cartagena and Lorca. 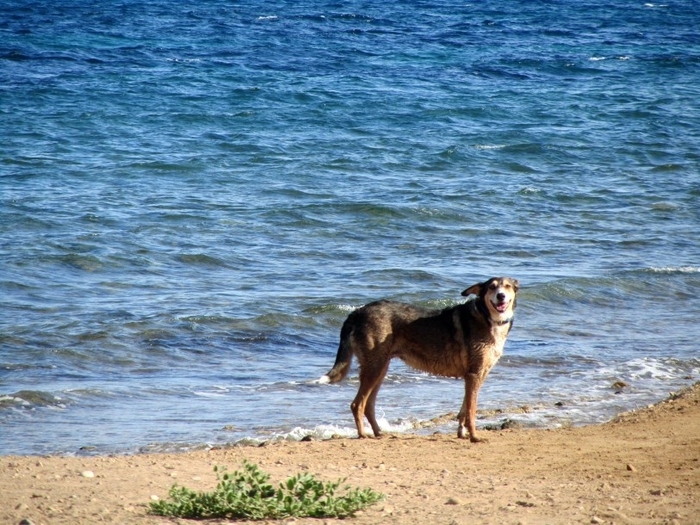 Playa de las Moreras is one of three beaches within the Mazarrón municipality which have been designated as dog friendly beaches..
Costa Cálida Mediterranean beaches: Playa de Bolnuevo The Playa de Bolnuevo is a vast semi-urban Mediterranean beach running along the coastline of the small town of Bolnuevo, and is one of the 33 which are to be found along the 35-kilometre coastline of Mazarrón between the municipalities of Cartagena and Lorca. 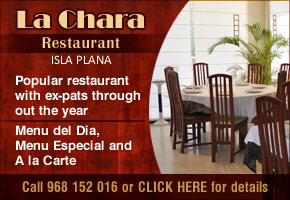 Geographically, it lies between the Rambla de las Moreras and the Punta Cueva.. 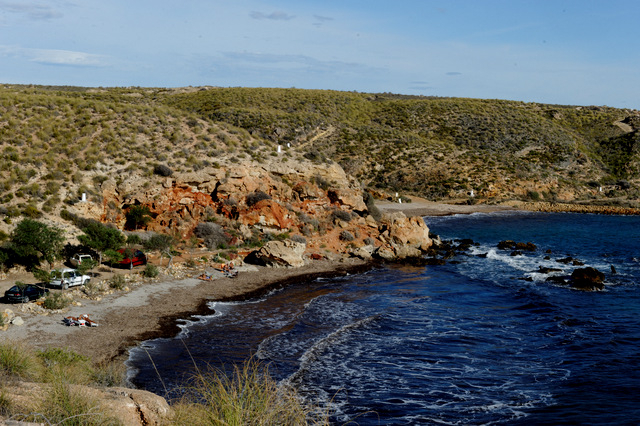 The first in a run of spectacular rocky coves, nudist beaches and wild beaches One of 33 beaches which are to be found along the 35-kilometre coastline of Mazarrón between the municipalities of Cartagena and Lorca, Playa del Rincón is tucked into the corner of Cueva de Lobos and is strikingly memorable on account of the ochre-red soil, which is spectacular when lit by the setting sun.. 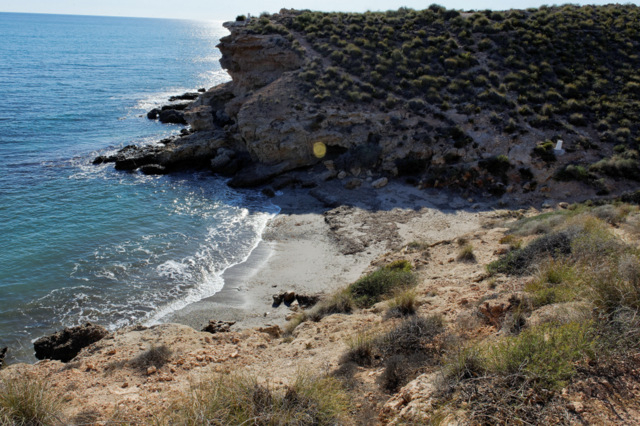 The second in a run of spectacular rocky coves and wild beaches in Mazarrón One of 33 beaches which are to be found along the 35-kilometre coastline of Mazarrón between the municipalities of Cartagena and Lorca, Playa de Piedra Mala (literally, beach of the bad stone!) 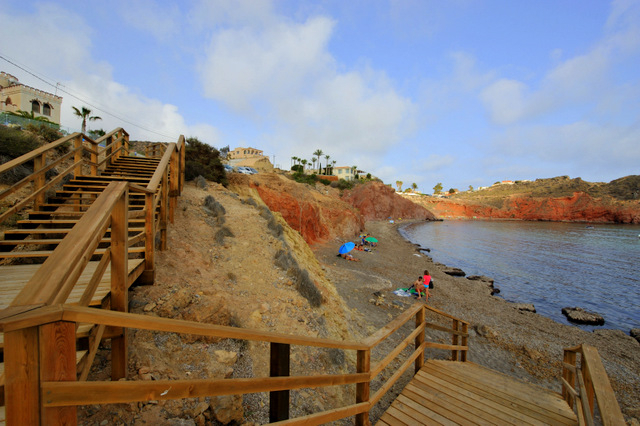 is linked to Playa del Rincón and has the same vibrant ochre-red soil as its neighbouur, which is tucked into the corner..
Part of a run of spectacular rocky coves, nudist beaches and wild beaches One of 33 beaches which are to be found along the 35-kilometre coastline of Mazarrón between the municipalities of Cartagena and Lorca, Playa Cueva de Lobos is the first designated nudist beach in the run along the coastal track which winds along the coast from Bolnuevo through the Sierra de Moreras to Puntas de.. 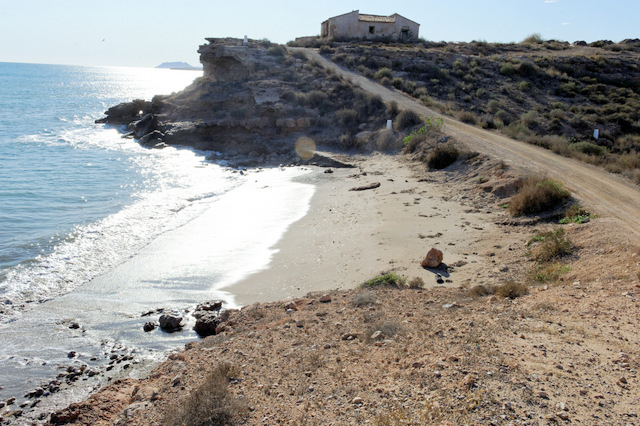 This is the second in the run of nudist beaches in Mazarrón One of 33 beaches which are to be found along the 35-kilometre coastline of Mazarrón between the municipalities of Cartagena and Lorca, Playa Amarilla is the second dedicated nudist beach in this section of the run along the coastal track which winds across the top of the coast from Bolnuevo through the Sierra de Moreras to Puntas..
One of a series of nudist beaches on the rocky coastline between Bolnuevo and Cañada de Gallego One of 33 beaches which are to be found along the 35-kilometre coastline of Mazarrón between the municipalities of Cartagena and Lorca, Playa de la Grua is the third official nudist beach reached by the 12-kilometre track which winds along the coast from Bolnuevo through the Sierra de Moreras..
An attractive wild cove on the Costa Cálida One of 33 beaches which are to be found along the 35-kilometre coastline of Mazarrón between the municipalities of Cartagena and Lorca, Cala Desnuda is the fifth official nudist beach reached by the 12-kilometre track which winds along the coast from Bolnuevo through the Sierra de Moreras to Puntas de Calnegre. 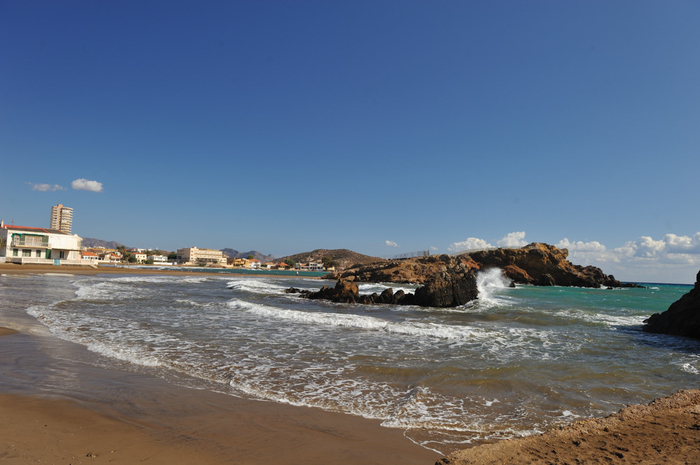 The beach is slightly sandier..
An attractive wild cove at the foot of the Sierra Moreras One of 33 beaches which are to be found along the 35-kilometre coastline of Mazarrón between the municipalities of Cartagena and Lorca, Playa de la Grua is the sixth official nudist beach reached by the 12-kilometre track which winds along the coast from Bolnuevo through the Sierra de Moreras to Puntas de Calnegre. Those who have.. The last in the run of nudist baches between Bolnuevo and Cañada de Gallego An attractive sandy wild cove with low occupancy at the foot of the Sierra Moreras, Playa Hondón del Fondo is the last of the official nudist beaches reached by the 12-kilometre track which winds along the coast from Bolnuevo through the Sierra de Moreras to Puntas de Calnegre. Those who have walked or cycled along..
A long wild beach in the Ifre-Cañada de Gallego stretch of coastline Among the south-westernmost of the 33 beaches which are to be found along the 35-kilometre coastline of Mazarrón between the municipalities of Cartagena and Lorca, Playa Cabezo de Pelea is the first to be reached if coming from Bolnuevo in the Ifre-Cañada de Gallego section of the coast. 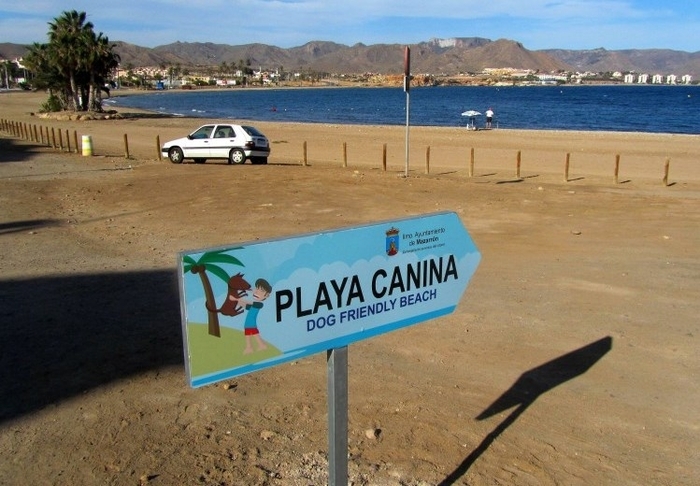 This area is characterized..
A long wild beach in the Ifre-Cañada de Gallego stretch of coastline, perfect for dogs Among the south-westernmost of the 33 beaches which are to be found along the 35-kilometre coastline of Mazarrón between the municipalities of Cartagena and Lorca, Playa Cobaticas is the second to be reached if coming from Bolnuevo in the Ifre-Cañada de Gallego section of the coast. 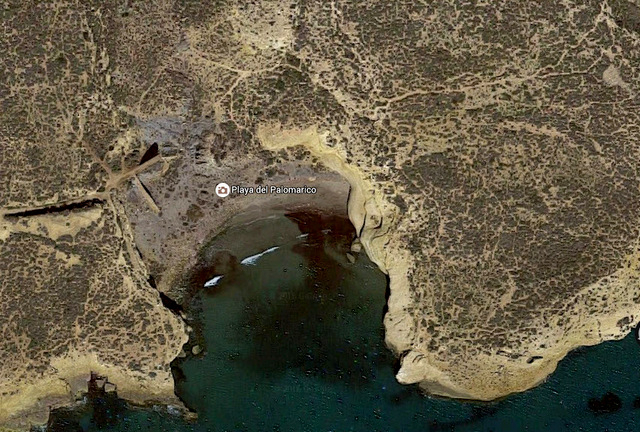 This area is characterized..
A 300-metre-long cove near the main beach of Percheles Among the south-westernmost of the 33 beaches which are to be found along the 35-kilometre coastline of Mazarrón between the municipalities of Cartagena and Lorca, Playa de las Chapas is 300 metres long and just 10 metres wide. It is a stony beach which is used very little, as the rough surface is neither comfortable for sunbathers nor..
A 200 metre long cove near to Percheles beach in the Ifre-Cañadas de Gallego section Among the south-westernmost of the 33 beaches which are to be found along the 35-kilometre coastline of Mazarrón between the municipalities of Cartagena and Lorca, Playa Ballenato is 200 metres long and 30metres wide. 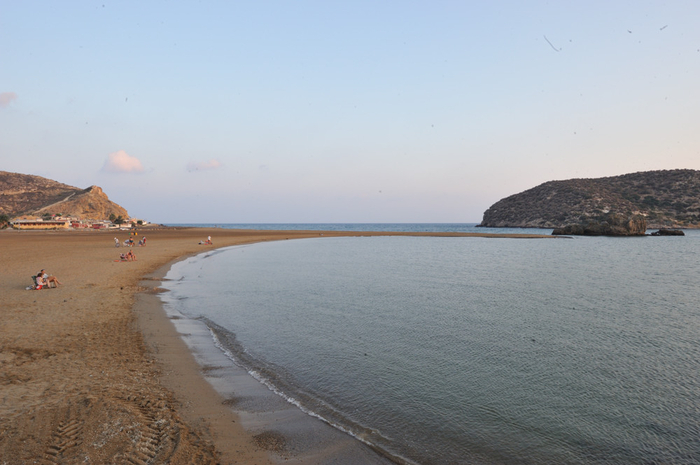 It is a mainly stony beach with patchs of sand, and is used very little. 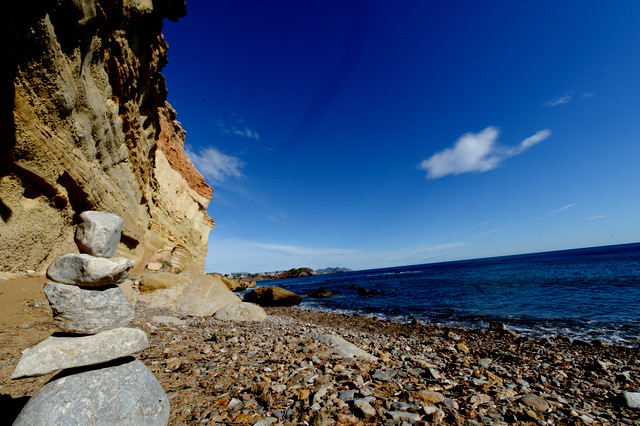 Once the southern..
A stunning Blue Flag beach near Cañadas de Gallego Playa de Percheles is among the south-westernomst of the 33 beaches which run along the 35 kilometre length of the Mazarrón coastline, and is considered by some to be the most attractive. 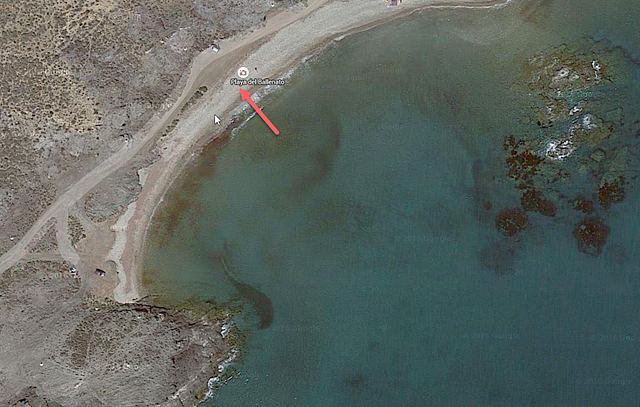 it is best reached via Cañada de Gallego. North of this point the coastline runs for nearly three kilometres of open, wild beach, but once the end..
A small cove in the Ifre-Cañadas de Gallego section of the Mazarrón coastline Lying almost at the south-westernmost extreme of the 35-kilometre Mazarrón coastline, Playa de las Minas is tucked away at the side of the Playa de Percheles, which is considered to be the most attractive bay in the municipality, located at the end of a long run of wild and naturist beaches. It is best accessed..
A rocky, low occupancy cove in the Ifre-Cañadas de Gallego section Playa del Palomarico is the one of the beaches at the south-western end of the series of 33 which run along the 35 kilometre length of the Mazarrón coastline, and is located next to the agricultural area of Cañadas de Gallego. It is accessed either by the coast road from the village or via the RM-D21 and the AP-7 motorway..
A long open beach in the Ifre-Cañadas de Gallego section This is the south-westernmost in the series of 33 beaches which run along the 35 kilometre length of the Mazarrón coastline, and is located next to the agricultural area of Cañadas de Gallego and the village of Puntas de Calnegre, accessed either by the coast road from the village or via the RM-D21 and the AP-7 motorway. Puntas..
Playa Cobaticas, Playa Sierra de Las Moreras, and Playa Gachero dog friendly beaches in Mazarrón The Town Hall of Mazarrón has produced a guide to the three beaches in the municipality which have been designated as dog-friendly areas, where owners can let their pets off the lead and allow them to roam on the sand and in the sea. 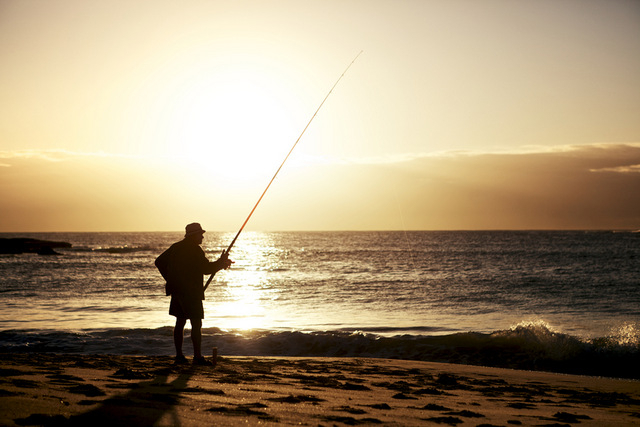 The three beaches are located at different points along..
Mazarrón allows beach fishing all year on designated beaches In August 2018 the Town Hall of Mazarrón issued a statement reminding local fishing enthusiasts about the local regulations governing fishing on the beaches of the municipality, and the three specific zones for angling in areas which are neither popular with bathers nor designated dog-friendly beaches. 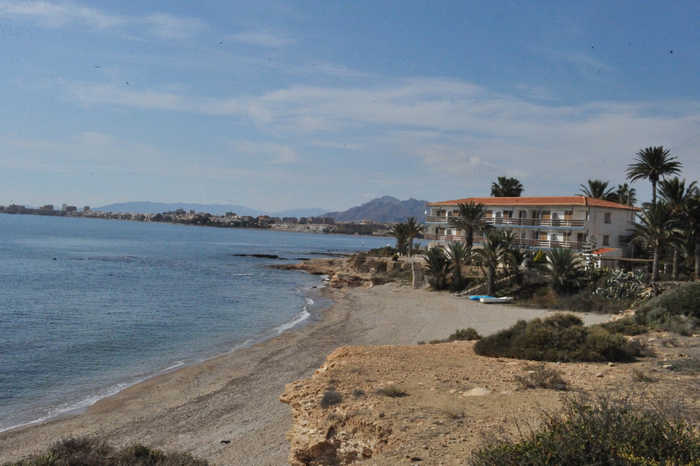 Municipal rules state..
Also known as Playa de la Rella and Playa de Junta de dos Mares The Playa de la Reya is an urban Mediterranean beach, and is the eleventh beach in a line of 33 Mediterranean beaches which stretch for 35 kilometres along the Mazarrón coastline between the borders of the Cartagena municipality and that of Lorca. 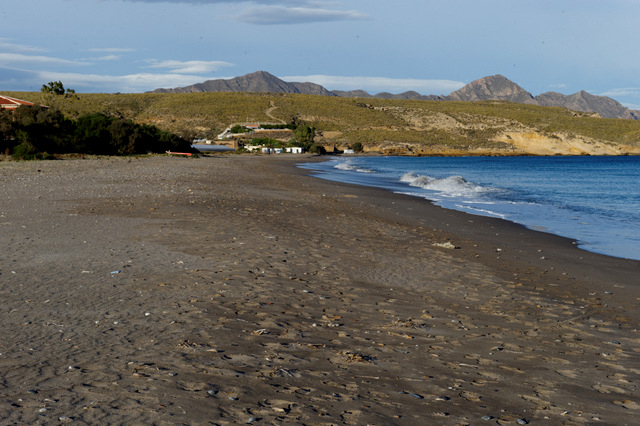 This is a long, curving semi-urban beach which adjoins Playa Bahía, Playa de la..
A shingle and sand beach on the Mazarrón-Cartagena border which is also popular with surfers A 450 metre long blue flag beach The Playa del Mojón is the first beach in the Mazarrón municipality crossing over from the Cartagena border and is on the edge of Isla Plana (Cartagena municipality) and the Puerto de Mazarrón. 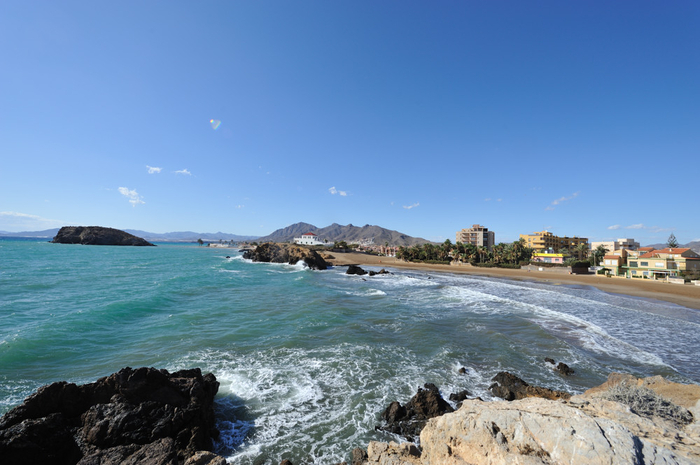 It’s often listed as one of the Isla Plana beaches and some..
Blue flag semi-urban beach, popular with windsurfers and fishermen 600 metres long with sand and shingle This is a semi-urban Mediterranean beach, and is the fourth beach in a line of 31 Mediterranean beaches which stretch along the Mazarrón coastline between the borders of the Cartagena municipality and that of Lorca. 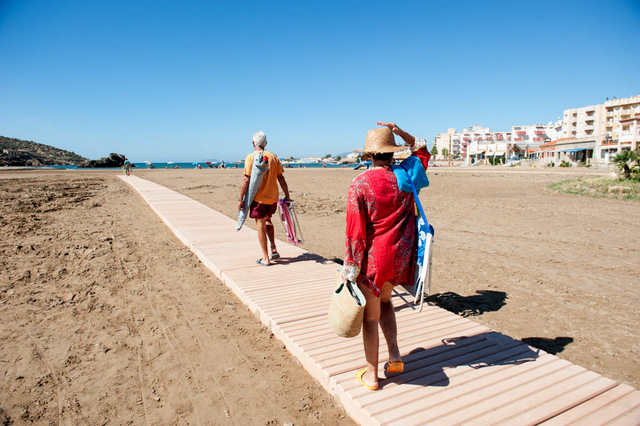 This beach is 600 metres long, with an average width of 14 metres..
Playa Rihuete, Playa del Puerto, Playa Isla and Playa Castellar offer improved shoreline access Four beaches in the Mazarrón municipality have solid walkways throughout the year designed to help those with limited mobility to access the shoreline. 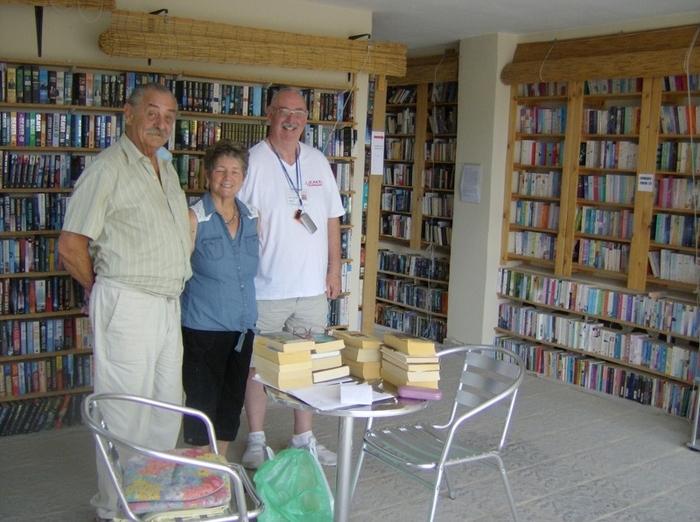 The walkways are available on the beaches of Playa Rihuete, Playa del Puerto, Playa Isla and Playa Castellar and are made from a pre-fabricated..
Sheila’s Lending Library open Tuesdays between 10am and 1pm Sheila’s Lending Library The Lending Library has been set up in her garage area by Sheila Jones and all the books are displayed on shelving units some of which were made by husband. The Library has a stock of over 4700 books categorised and set out in alphabetical order making it easy to select your favourite genre and author.. 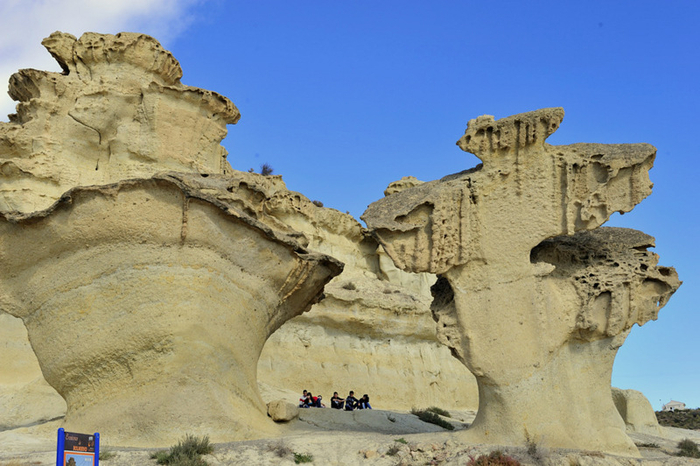 The Bolnuevo erosions are natural sandstone sculptures One of the best known features of Bolnuevo are the erosions, or gredas, of Bolnuevo, known as the “enchanted landscape”, a curious formation of naturally sculptured rock formations behind the main beach. These curious limestone shapes have been formed over millions of years by wind erosion, and seem almost like modernist sculptures..
Hacienda del Álamo, Fuente Álamo Hacienda del Álamo offers a wide variety of options for Holiday rentals, Holiday property or residential living, with different types of accommodation to cater for individual budgets, needs and tastes. 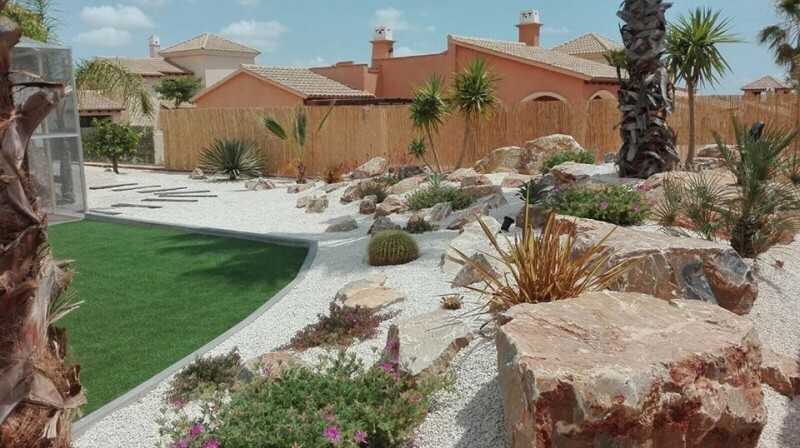 The urbanisation is set in extensive, landscaped grounds, with security access controlled, ensuring that the environment is a clean, well managed and safe..
Hacienda del Álamo Sports facilities. 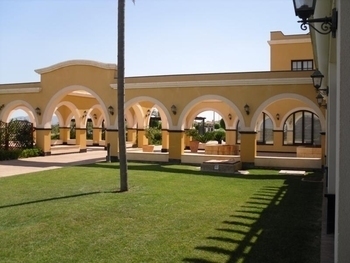 Sports Centre The Hacienda Sport centre is located between the main entrance and the Golf Club house and offers a number of sporting facilities, bringing activities and residents from the surrounding areas into the urbanisation, as well as providing top-level facilities for residents. Facilities at HDA There are 4 Tennis Courts which are available..
Shopping - Restaurant Facilities on the Hacienda del Álamo resort The Hacienda del Álamo Resort has two commercial areas: the Spanish Village, the Pueblo Español and the Hacienda Resort centre, as well as a top-level club house, with restaurant and social facilities. 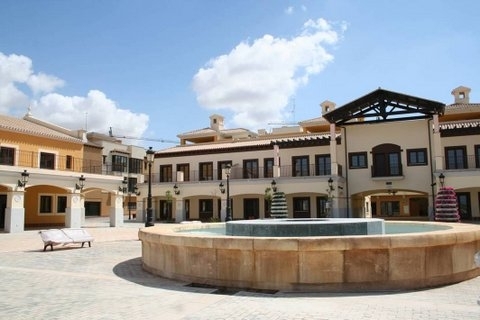 The Pueblo Español is based on a traditional Spanish town concept and includes a number of sales units including artistic.. 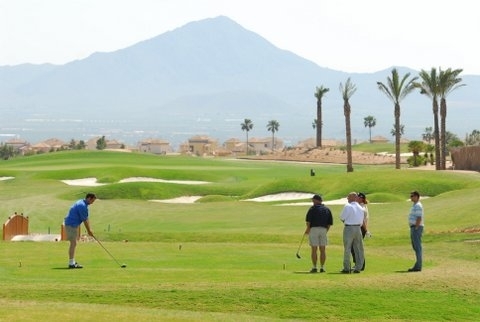 The Resort has an 18 hole course, 6 hole tuition course, golf academy and driving range. 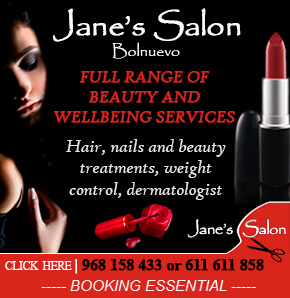 Since it first opened in November 2004, the internationally recognised Golf Course at Hacienda de Alamo has proven a popular choice for both local and International golfers alike. 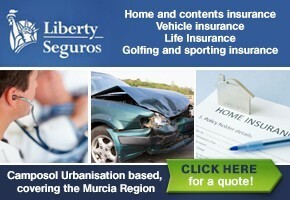 Ryder Cup Star, Ángel Jiménez is quoted as saying that this is one of the best courses in the country with wide fairways.. Hours of Service, Ermita de Bolnuevo. The hermitage of Bolnuevo is only used once a week for mass, ( in Spanish) which is celebrated during the winter months at 10.30am. 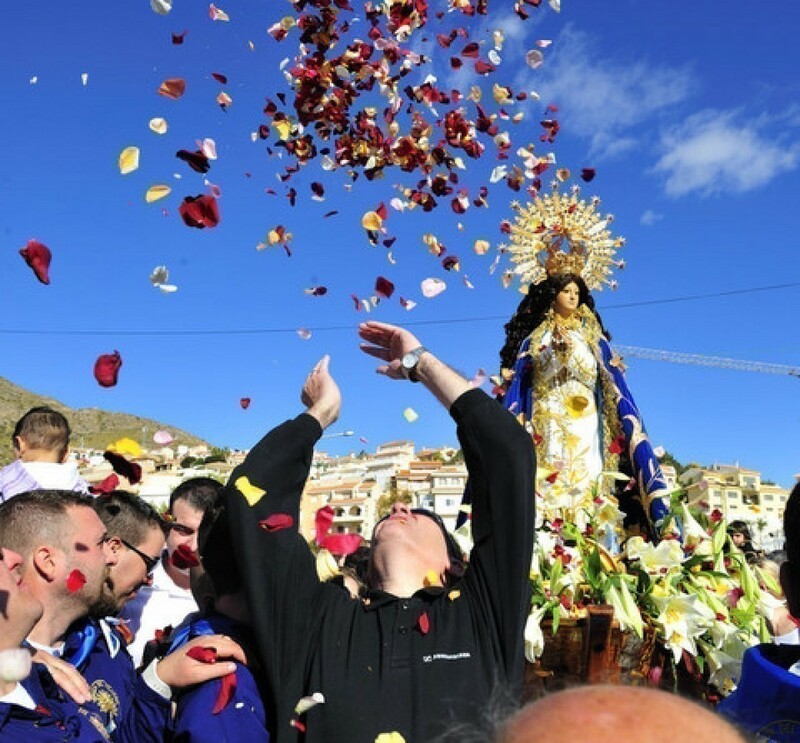 The most important róle of the Ermita de Bolnuevo is as the home of the Inmaculada Virgen de la Concepción, who sallies forth in Romería every year on the 17th November. This sculpture was made by José Sánchez Lozano..
An introduction to Bolnuevo. 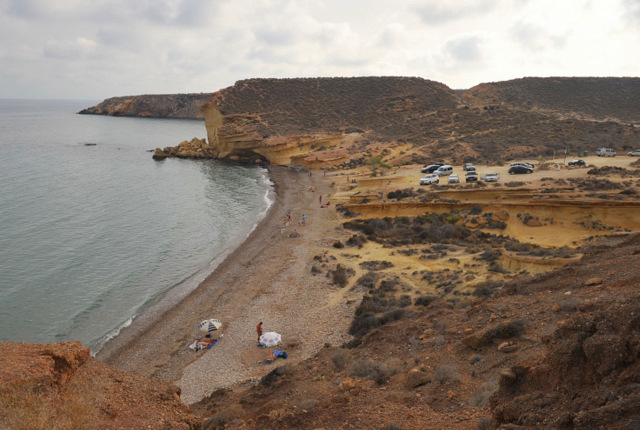 The coastal locality of Bolnuevo is part of the wide variety of landscapes and environments which can be found throughout the municipality of Mazarrón, it´s host of small coves as well as longer, sandy beaches, making it a popular summer holiday destination, although it has an established population of permanent residents throughout the year. Set aside from.. 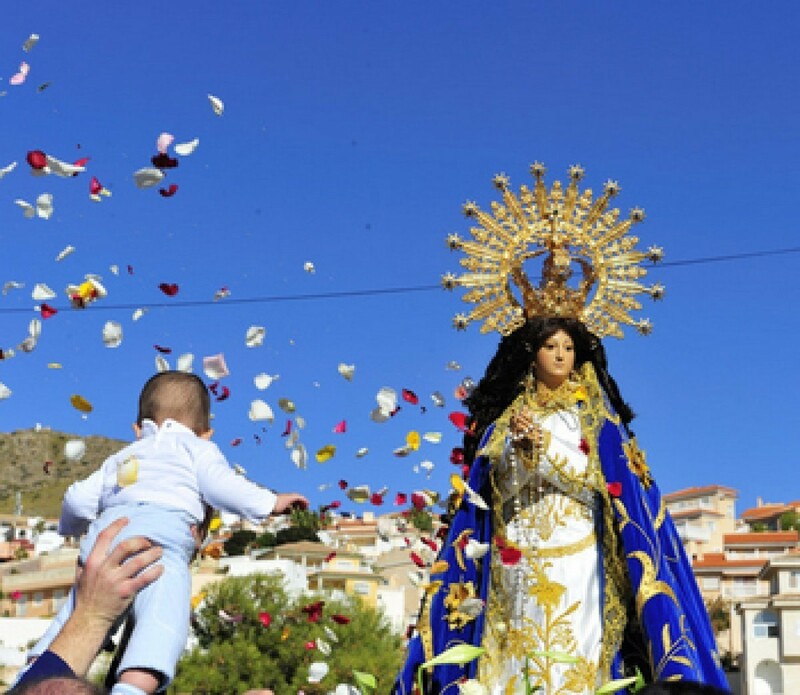 Known by the expat community as the Bolnuevo Sardine Festival The Miracle of La Purísima, took place in Mazarrón on 17th November 1585, at the end of the sixteenth century. 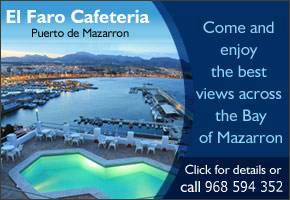 This event is commemorated annually on the 17th November, the day on which the Virgen de la Purísima is reputed to have saved the town of Mazarrón from Berber Pirate attack, and on the following Sunday the Romerí..
Spaniard Inn and La Terraza Restaurant, Hacienda del Alamo The management complex on Hacienda del Álamo is home to the Spaniard Inn bar and La Terraza restaurant, offering drinks and bar meals throughout the day, as well as a more substantial selection of A La Carte meals or BBQ favourites.Sunday lunches are particularly popular, as are the freshly battered cod and chips served on a Friday lunchtime..
Bolnuevo, the Romeria returns to the Bolnuevo sardine festival 2010-11-21 One of the best-loved days in the local ex-pat calendar is the day of the return of the Virgen to her sanctuary in Bolnuevo, perched high on the hillside, welded to the Torre de los Caballos which was built around 500 years ago to warn of attacks by Berber pirates, who harassed this coast kidnapping residents and..